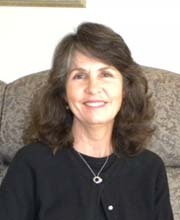 Gail Simpson, MSW, BCD is a Licensed Clinical Social Worker, a board certified diplomate, and a Fellow of the Academy of Cognitive Therapy. Ms. Simpson, received her bachelor's degree in Social Welfare from California State University Long Beach and her master's degree in social work from the University of Southern California. She has worked in a variety of mental health settings, including health maintenance organizations, private practice, the Center for Cognitive Therapy in Newport Beach and the Cognitive Therapy Clinic before joining Cognitive Therapy Orange County. Ms. Simpson enjoys the collaborative aspects of cognitive therapy and has been extremely pleased with the improvement her clients routinely achieve. Her specialties include treatment of depression, anxiety disorders including panic, and relationship concerns. She works with adults, couples, and occasionally consults with families. She and her clients discover effective interventions for a broad spectrum of presenting and enduring problems. Clients regularly learn a number of coping strategies and take a "toolbox" full of skills with them at the completion of their therapy. Cognitive therapy is based on the principle that everyone can learn to be his or her own therapist and Ms. Simpson believes she is privileged to aid people in learning this for themselves. Ms. Simpson is a warm, empathic and patient therapist who is committed to helping others improve their lives.